Kurdish-led forces on Friday battled a small group of Islamic State jihadists refusing to surrender and still defending the last few acres of their moribund "caliphate" in eastern Syria. 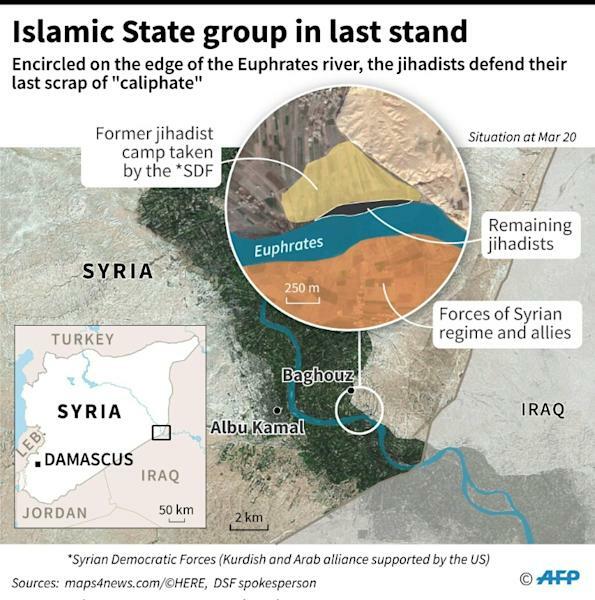 In the afternoon mortar rounds hit a former IS encampment in the village of Baghouz on the banks of the Euphrates River, sending a column of dark smoke up into the sky, an AFP correspondent said. The White House said the once-sprawling "caliphate" had been wiped out but the Syrian Democratic Forces it backs on the ground stressed that clashes were ongoing. "Clashes are ongoing in Baghouz. 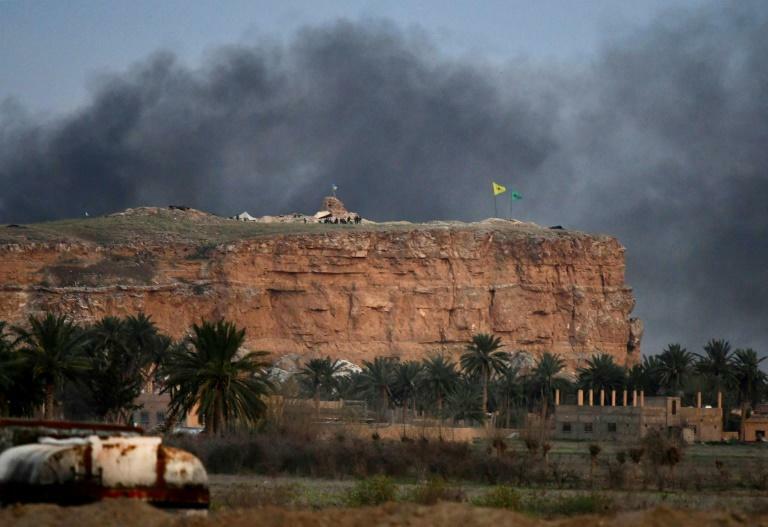 Small IS groups refusing to surrender are launching attacks and our forces are responding," SDF spokesman Adnan Afrin told an AFP reporter near Baghouz. The White House has jumped the gun several times on announcing the demise of IS territorial control. Top SDF commander Jia Furat said his forces were engaging with the jihadists on several fronts. "It remains a hard fight, and Daesh is showing that they intend to keep fighting for as long as possible," it said, using an Arabic acronym for IS. The SDF launched what it called its "final assault" against the jihadists' last redoubt in Baghouz on February 9. Finally on Tuesday, they cornered diehard fighters into a few acres of farmland along the Euphrates River, after forcing them out of the encampment. 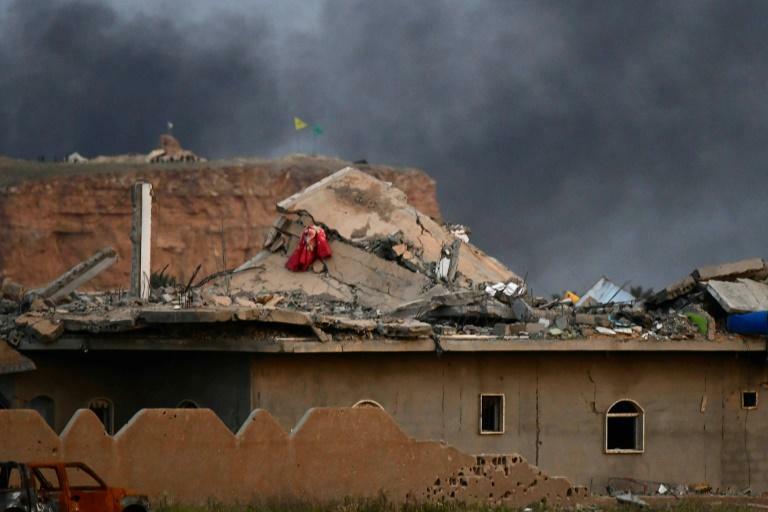 Inside Baghouz on Friday afternoon, SDF fighters languished idle on the roofs of abandoned buildings in the middle of a sea of ruins, an AFP reporter said. In the no-man's-land on the edge of what was once the jihadist encampment, a few US-backed fighters walked about unarmed. The six-month-old operation to wipe out the last vestige of IS's once-sprawling proto-state is close to reaching its inevitable outcome, but the SDF has said a declaration of victory will be made only after they have completed flushing out the last tunnels and hideouts. The Britain-based Syrian Observatory for Human Rights said IS holdouts were hiding in underground tunnels in Baghouz. IS declared a "caliphate" in June 2014 after seizing a vast swathe of territory larger than Britain straddling Iraq and Syria. The jihadists still retain a presence in eastern Syria's vast Badia desert and have continued to claim deadly hit-and-run attacks in SDF-held territory. In a video released on IS's social media channels on Thursday, jihadists vowed to continue to carry out attacks. He urged IS supporters to conduct attacks in the West against the enemies of the "caliphate".